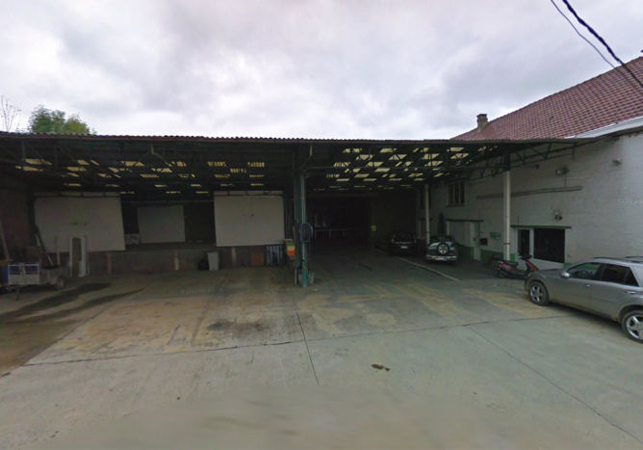 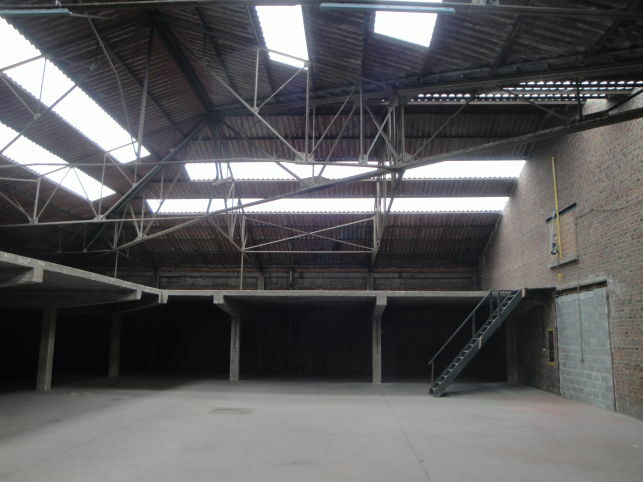 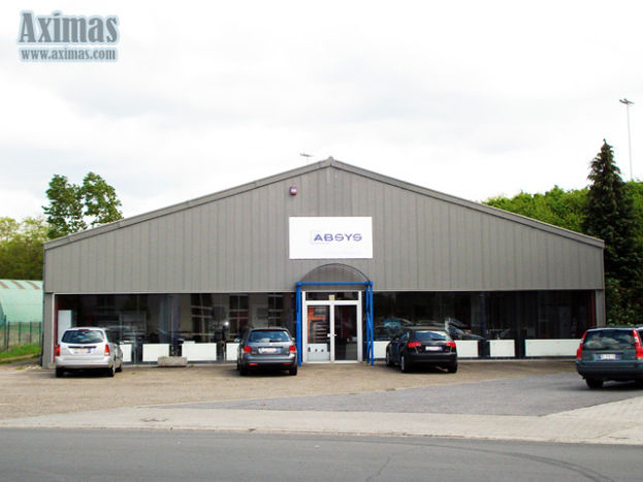 Detached warehouse with offices & showroom for sale in Leuven. 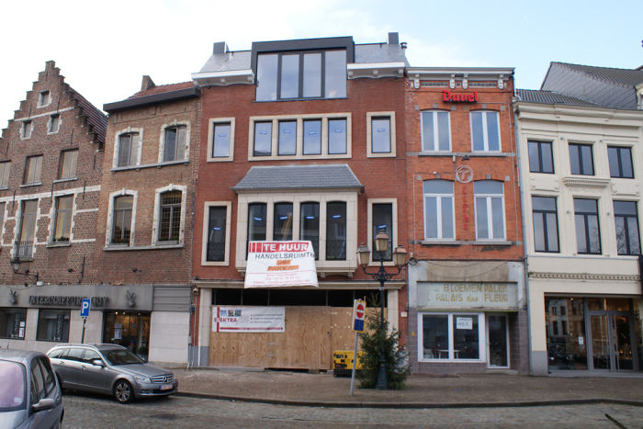 Commercial groundfloor office for sale in Leuven, located close to the canal area and & the Vismarkt. 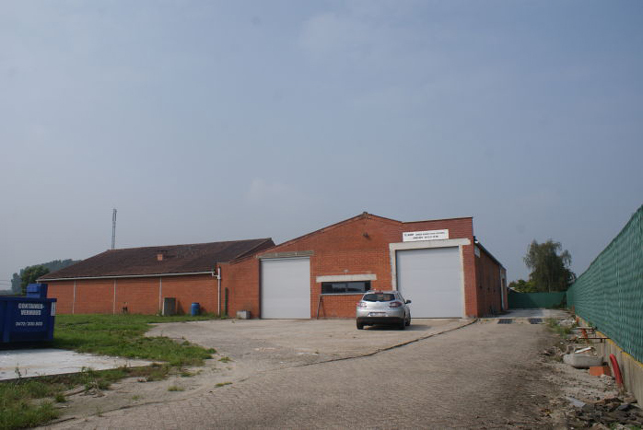 Polyvalent space for storage, showroom, laboratory or workshop to let on Wingepark in Rotselaar between Leuven & Aarschot. 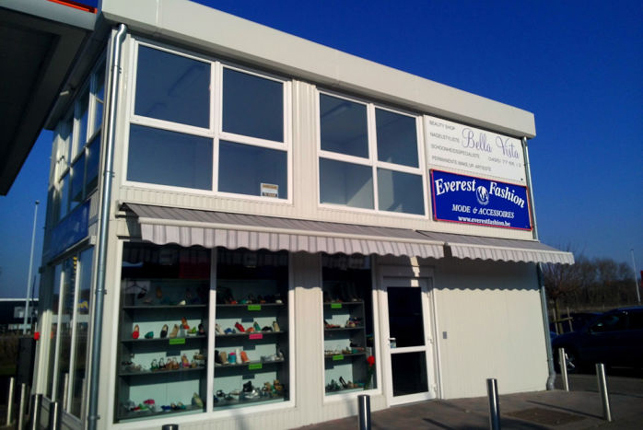 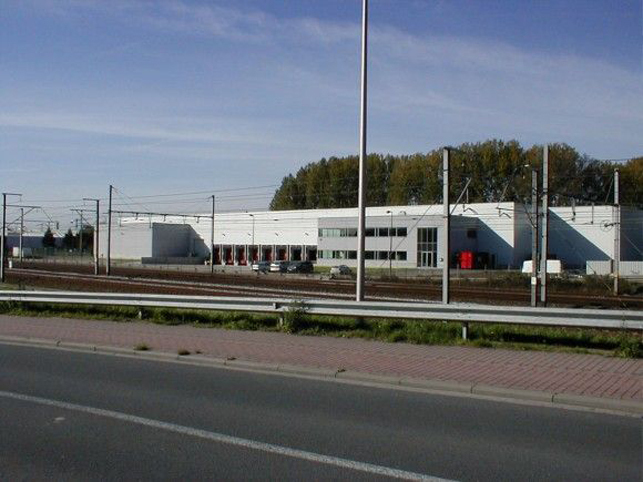 Retail warehouse for sale & to lease in Vilvoorde near the Brussels airport, the Brussels ring & E19 motorway. 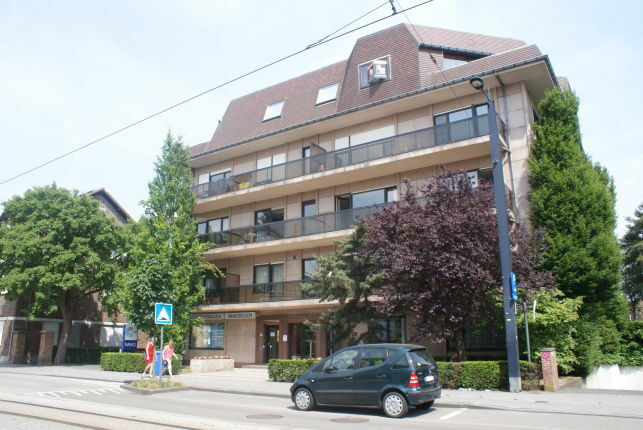 Commercial groundfloor office for sale on an eye-catching yet accessible location in Leuven, located close to the canal area and & the Vismarkt. 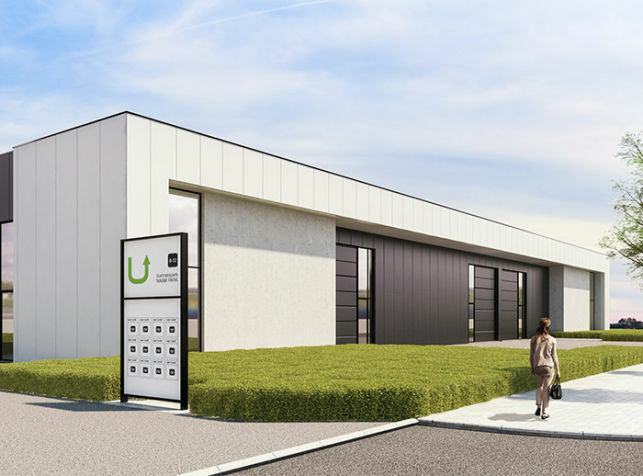 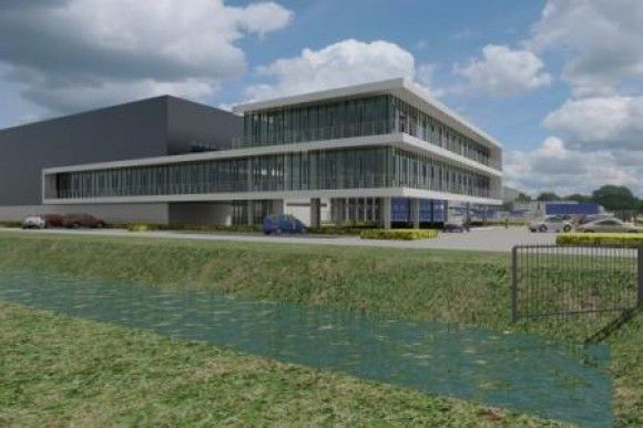 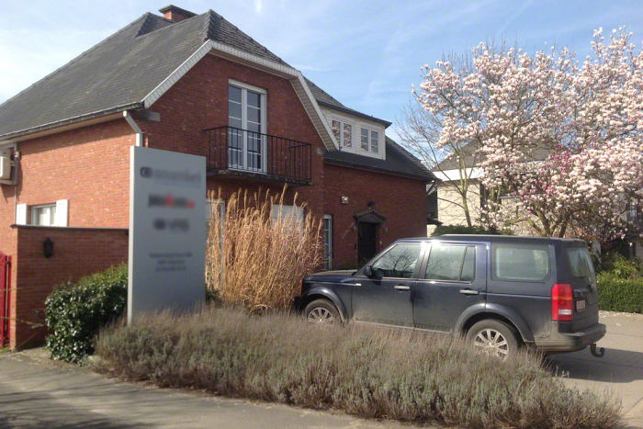 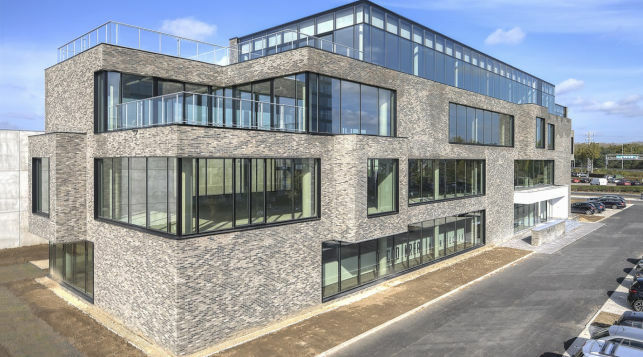 Offices to let with a view, located at the entrance of the Haasrode research park in Leuven, only 15minutes from the Brussels airport in Zaventem. 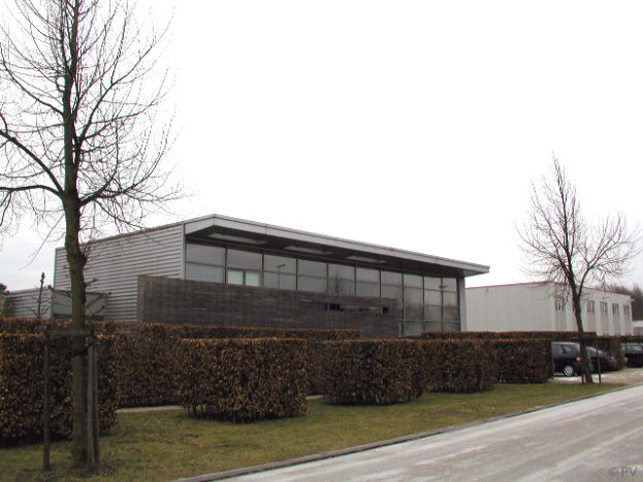 Industrial property for sale with 530 m² offices & 750 m² warehouse located in the Haasrode research park near Leuven. 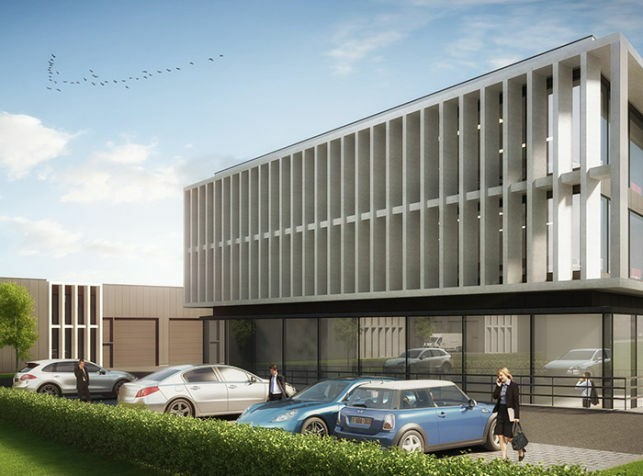 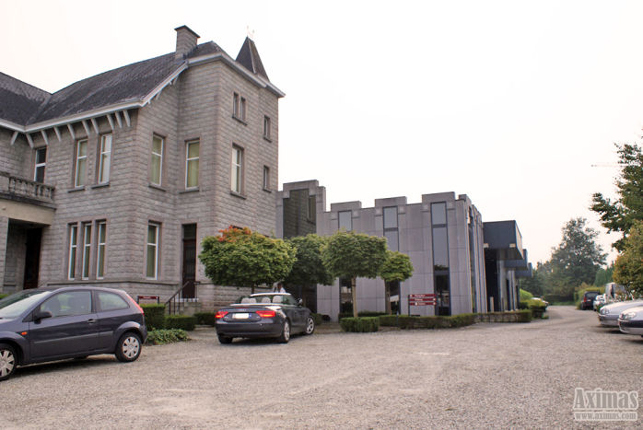 185 m² stylish offices to let in the Haasrode research park near Leuven, easy access to the E40 Brussels-Liège motorway. 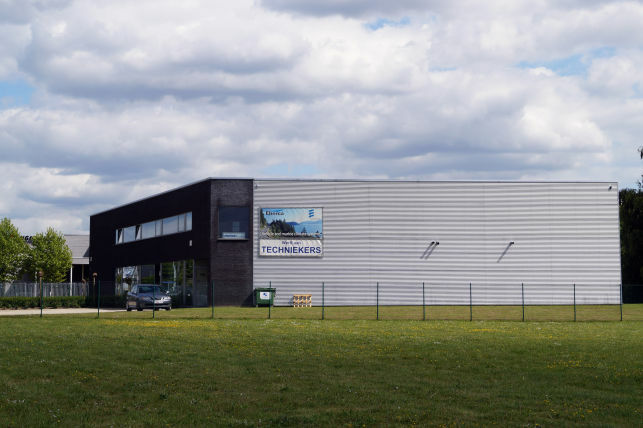 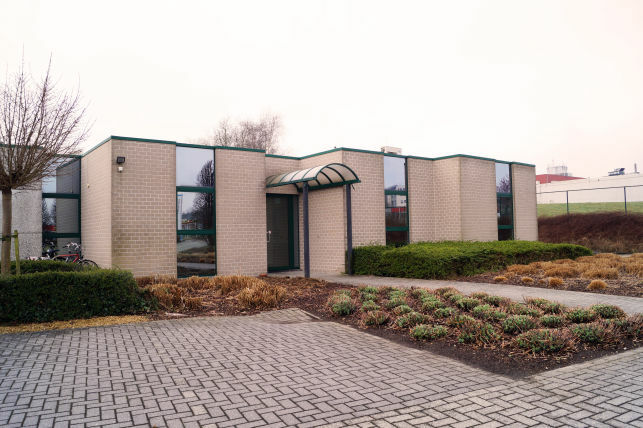 Office building with polyvalent space for warehouse or laboratory in Ninove near Aalst, Ternat, Brussels periphery with possibilityto let & for sale. 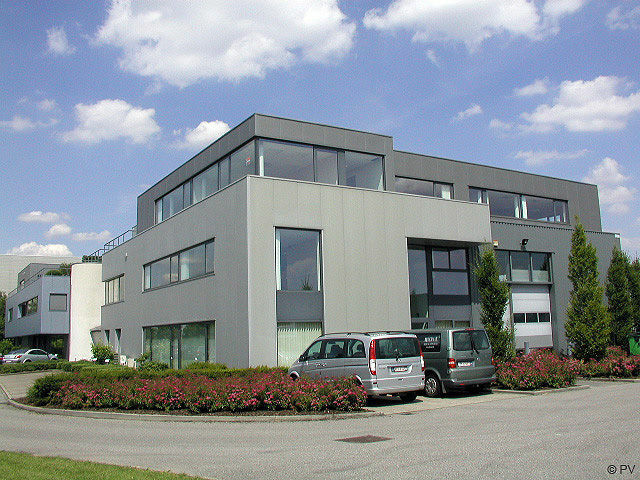 Standalone building with office space & polyvalent space for research, lab & storage for rent. 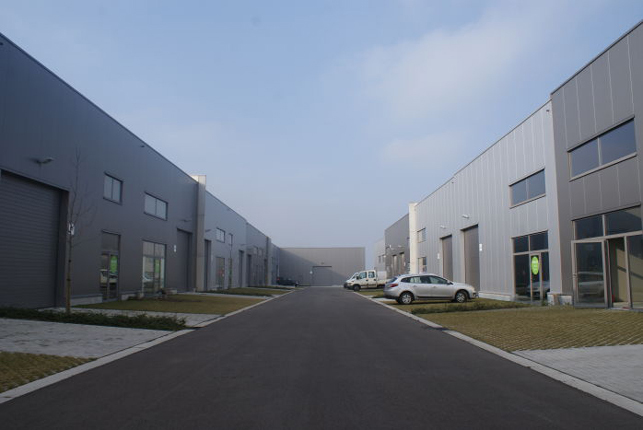 Site of 21 093 land for sale for a mixed project for new high-tech offices combined with small warehouses or laboratories, tailor-made options. 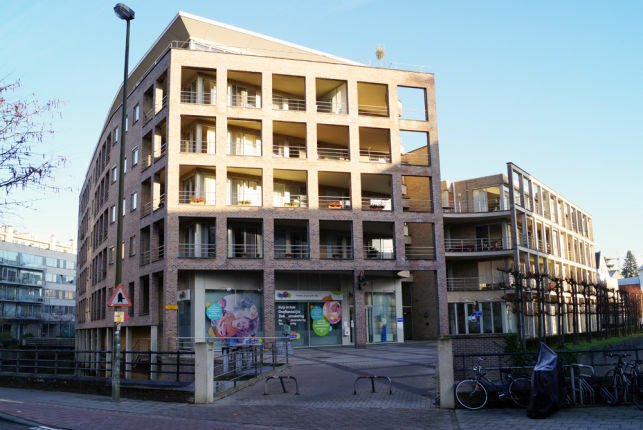 290 m² offices to let on Bondgenotenlaan only a few minutes away from the Leuven railway station. 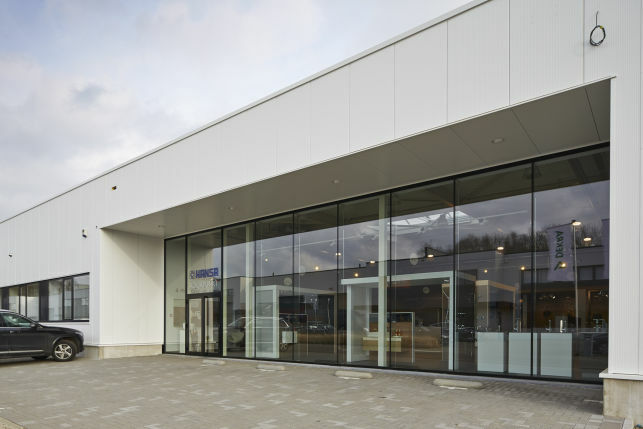 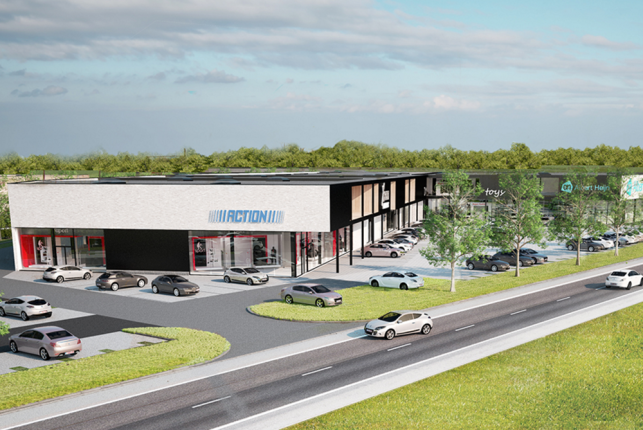 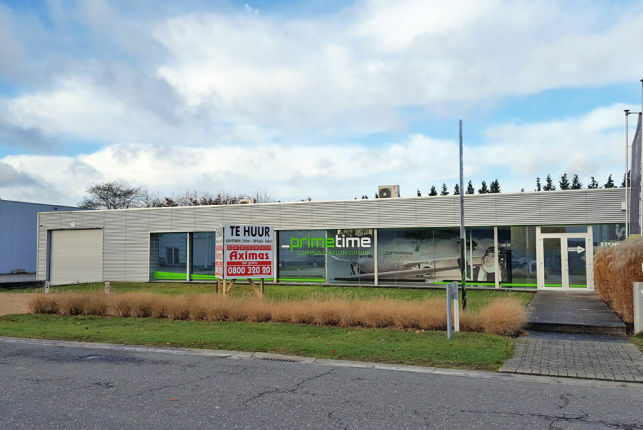 Showroom, retail or commercial office to lease in the Gouden Kruispunt shopping centre in between Aarschot, Leuven & Tienen. 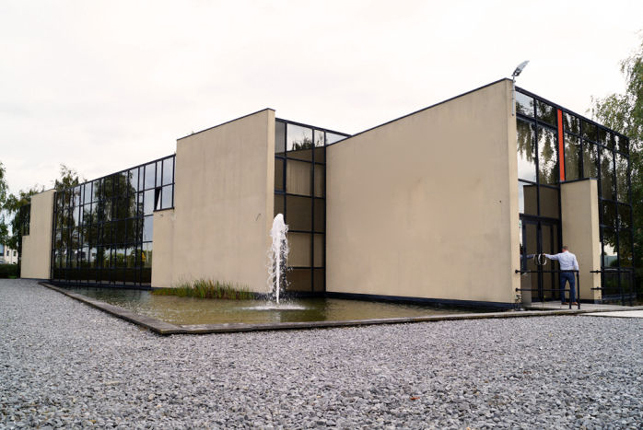 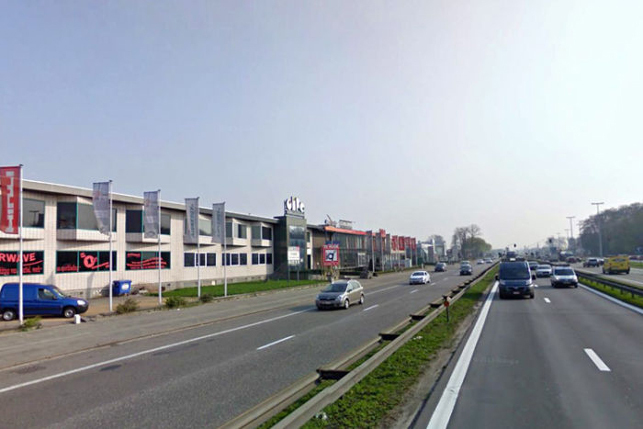 Offices to let & for sale in the center of Waterloo, at the Brussels-south ring motorway in Walloon-Brabant. 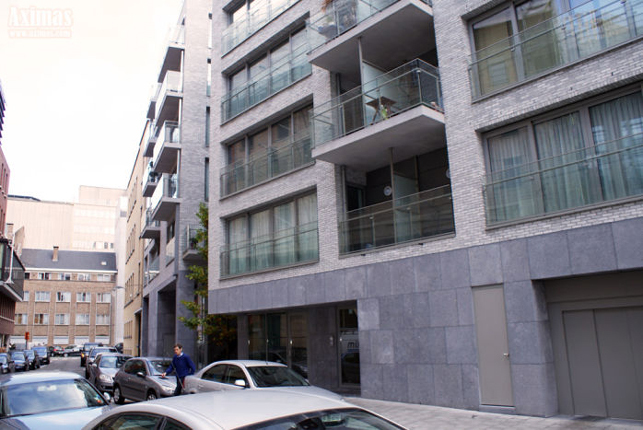 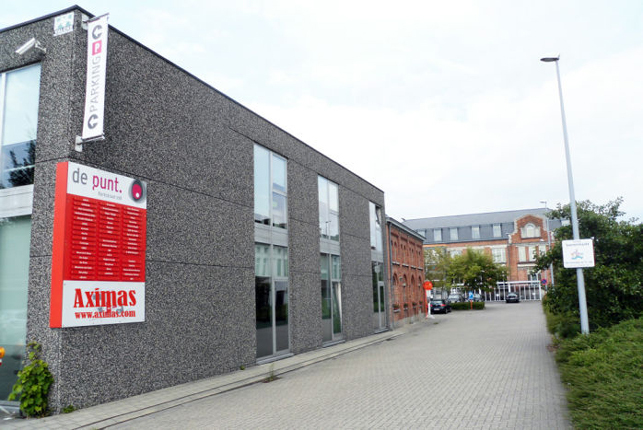 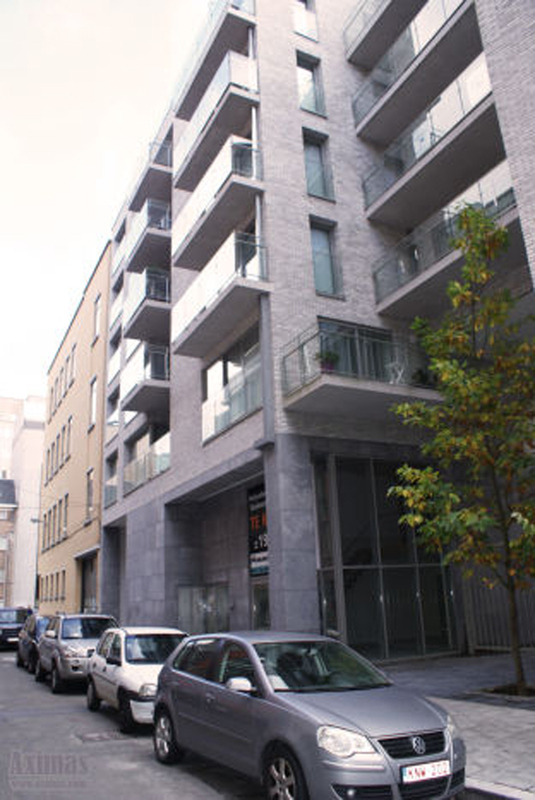 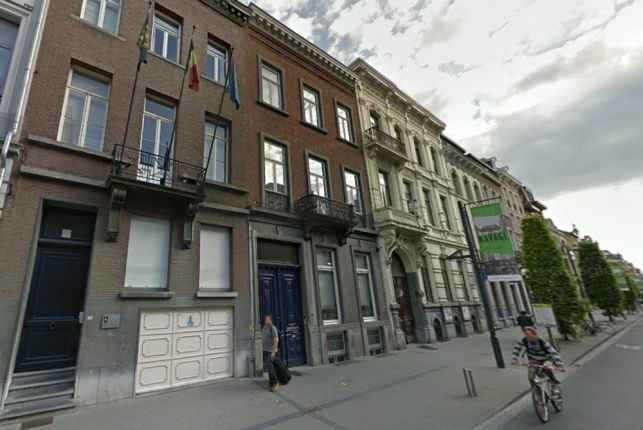 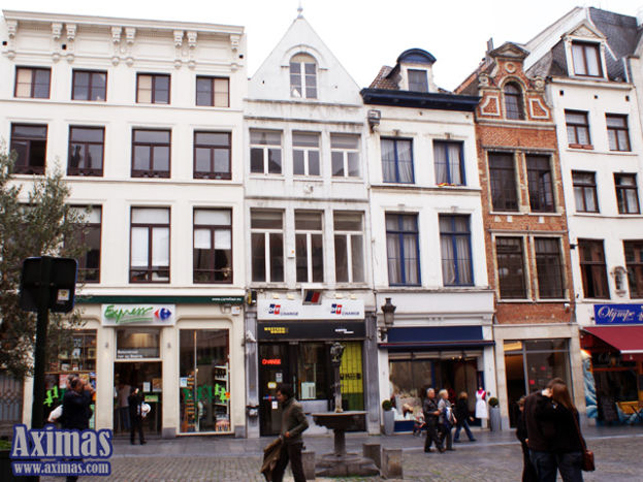 Offices to lease in the Ghent city-center near the Saint-Peters railway station. 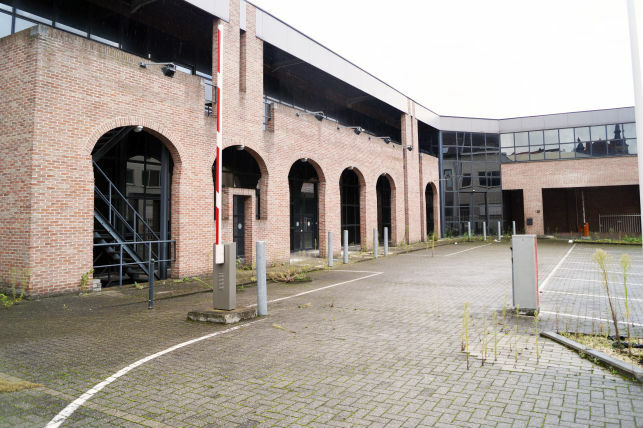 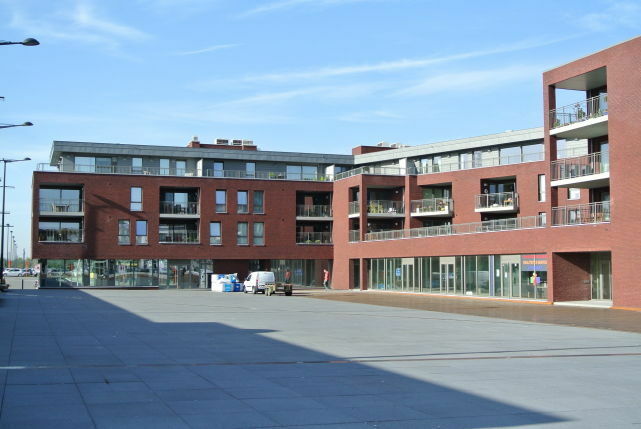 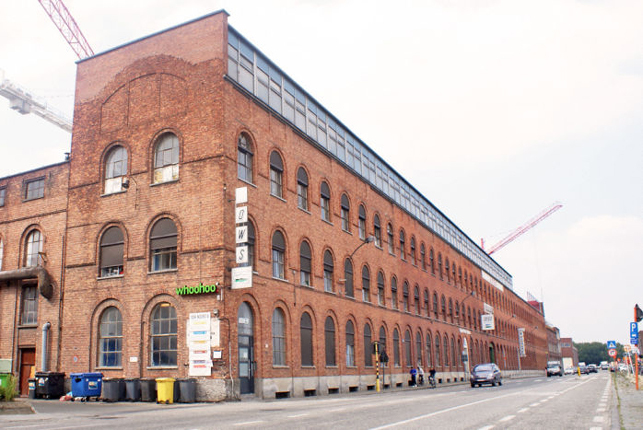 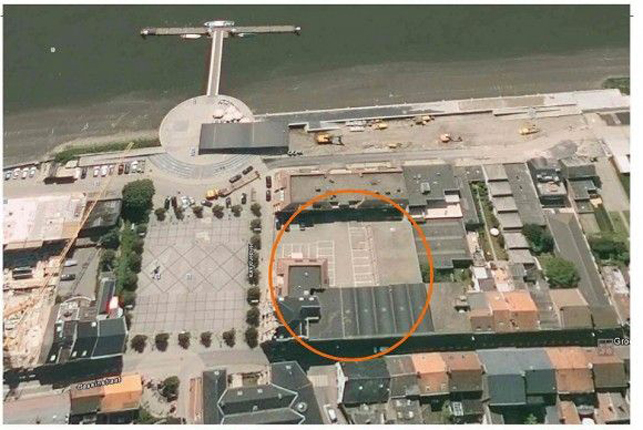 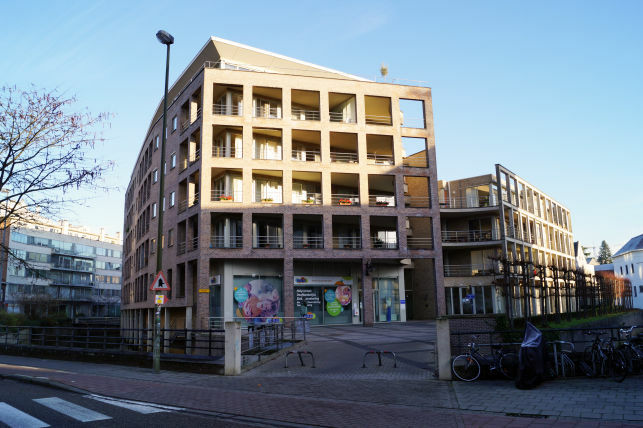 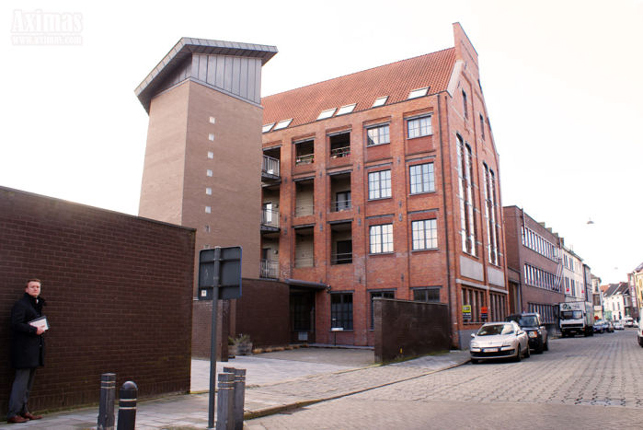 200 & 246 m² offices to let in Ghent near Dampoort railway station & the old docks. 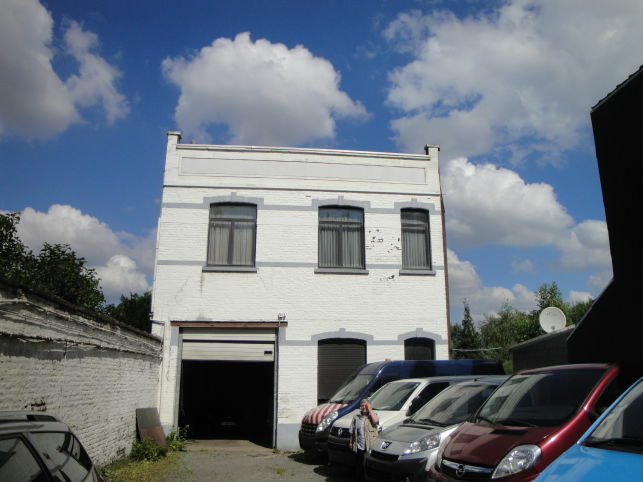 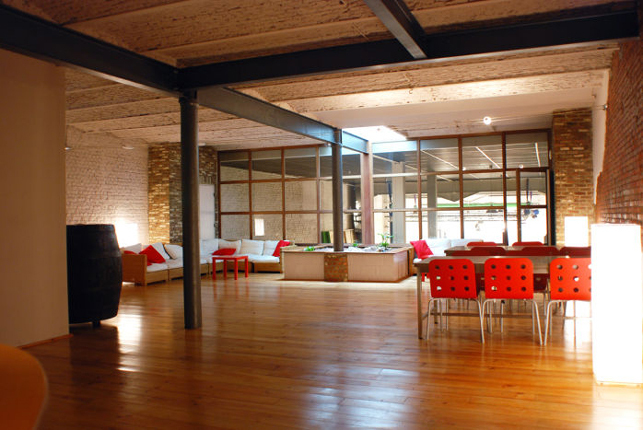 Commercial property with loft office space & polyvalent warehouse for sale in Laeken, Brussels. 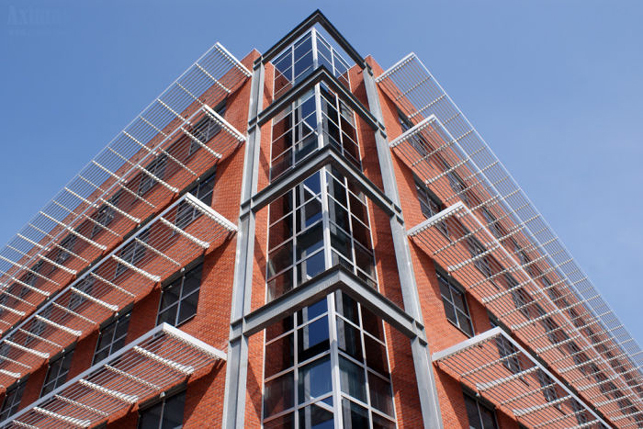 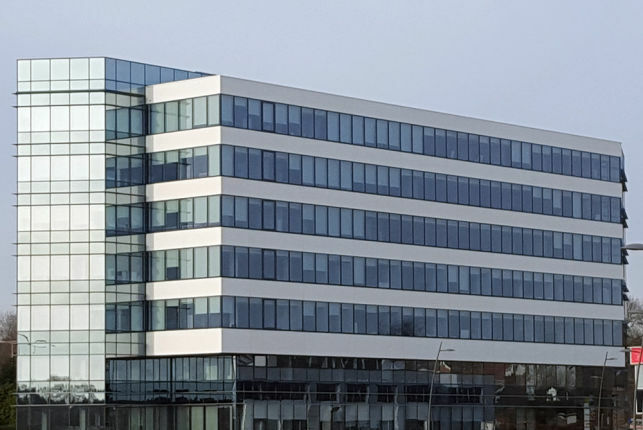 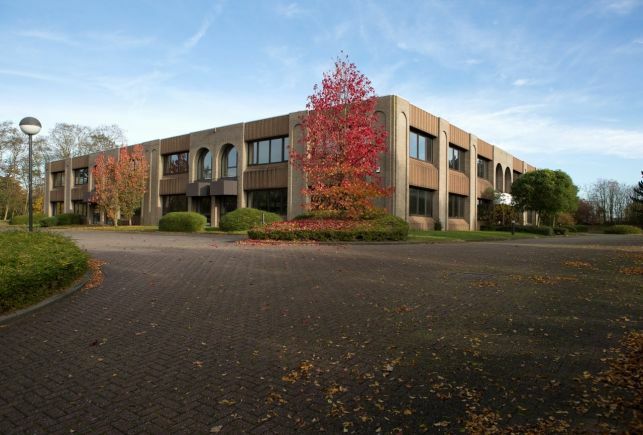 Fully-fitted offices for sale in the Campus Remy office park at the Wijgmaal railwaystation in Leuven. 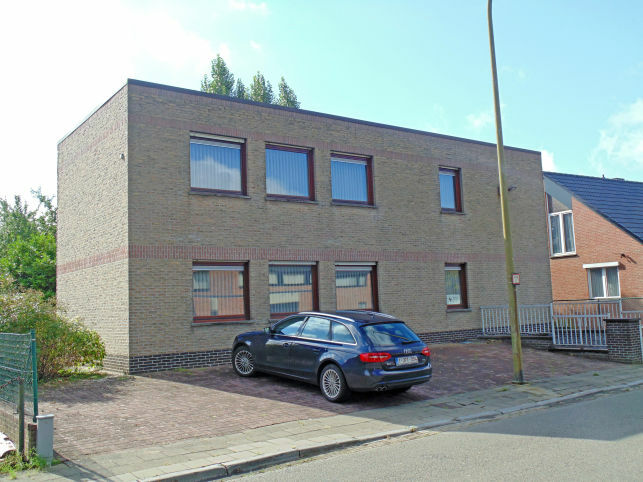 Office building to lease & for sale in Gent near the Zwijnaarde Technology park & the E17/E40 motorways. 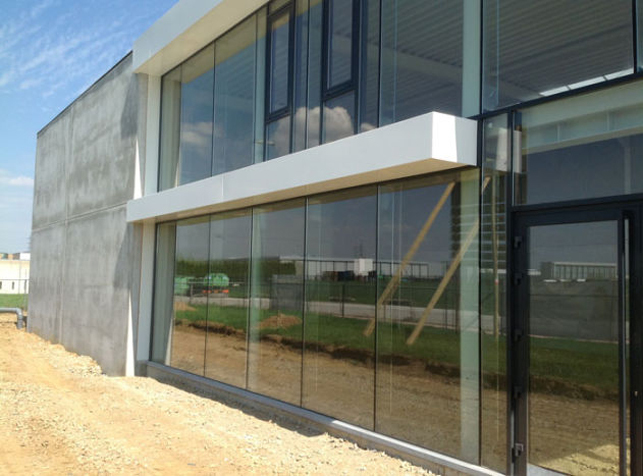 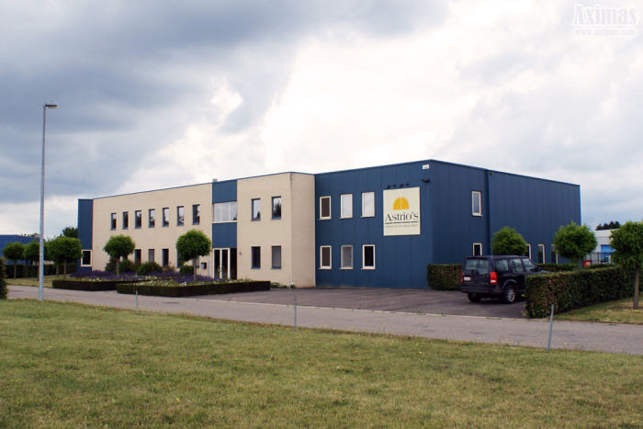 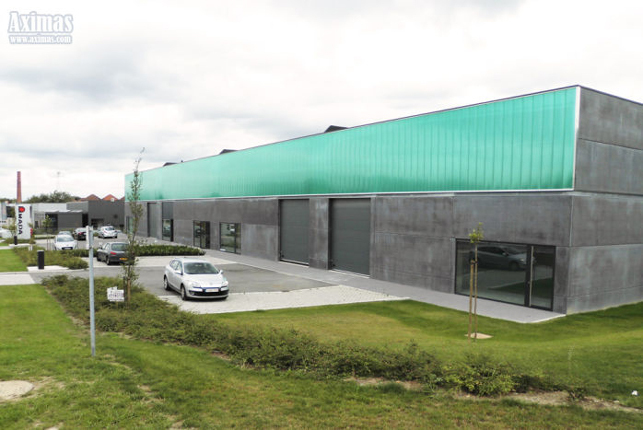 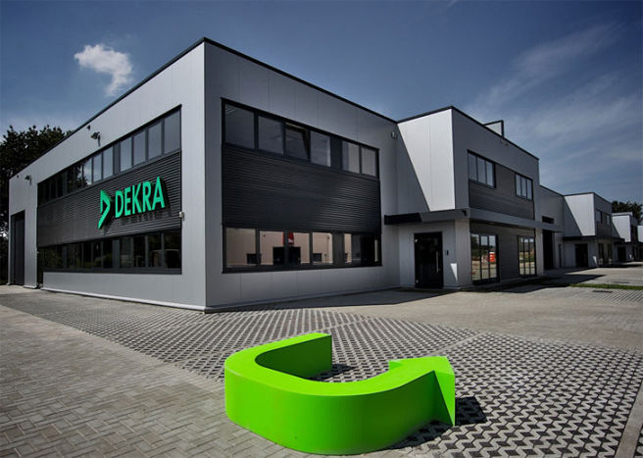 240 m2 warehouse & 250 m2 showroom to let in the Haasrode business park near Leuven. 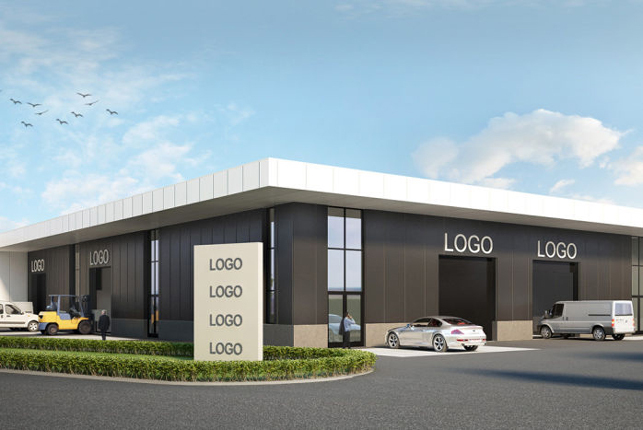 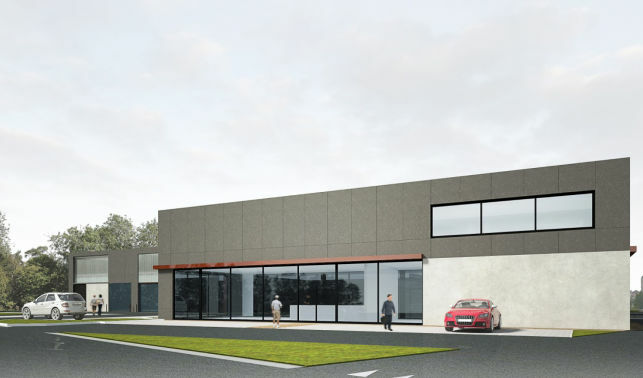 Project for build-to-suit industrial building with 250 to 500 m² offices or showroom & 2000 to 2500 m² warehouse. 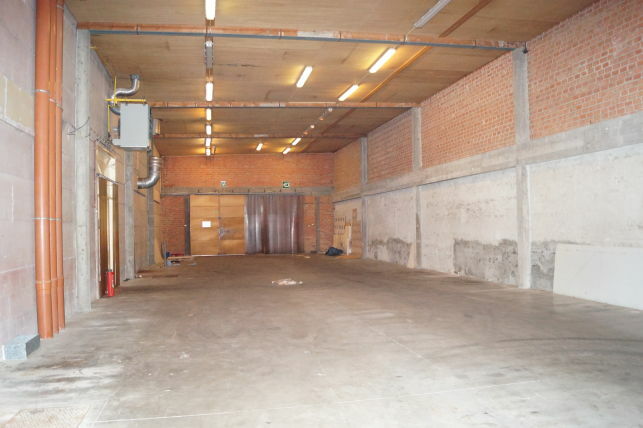 Detached warehouse with offices to lease in Poortakker near The Loop in Ghent. 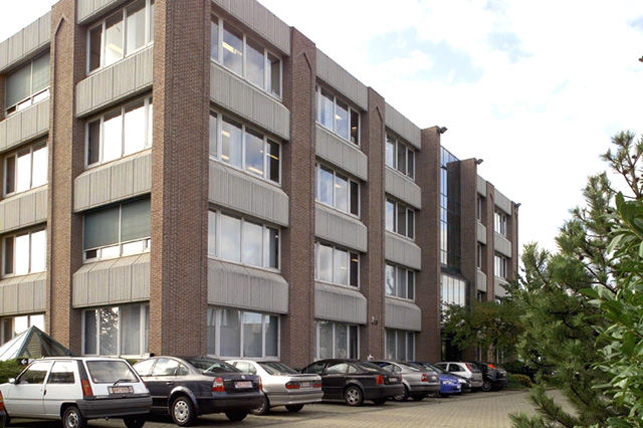 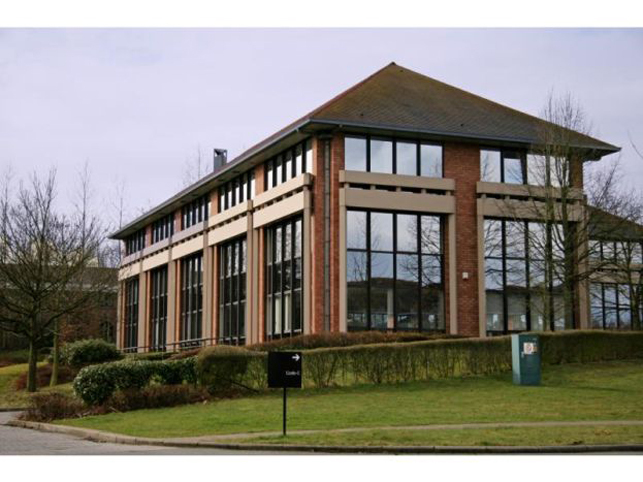 Office building to let & for sale in Zaventem near the Brussels international airport. 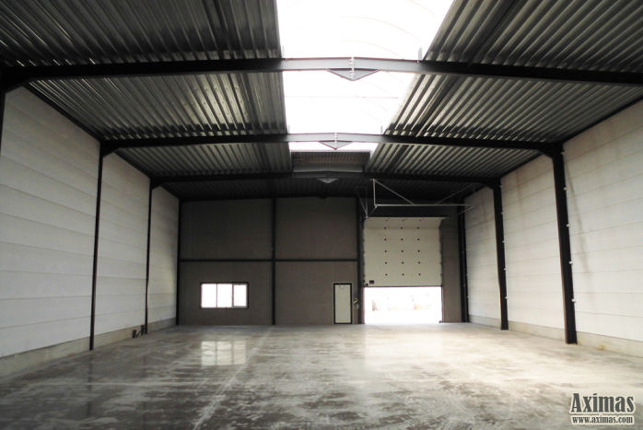 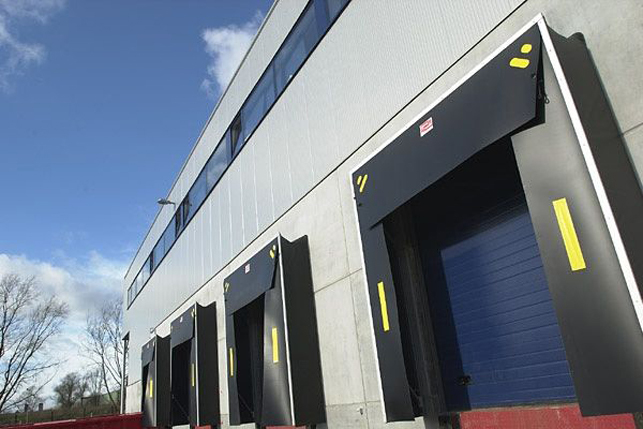 Warehouse for rent near Leuven with easy access to the E40 Brussels-Liège highway. 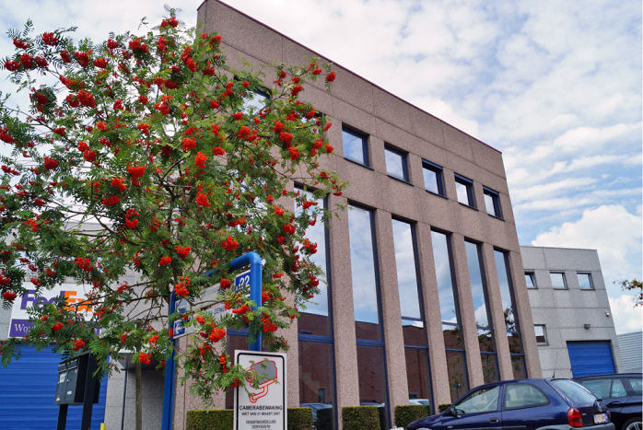 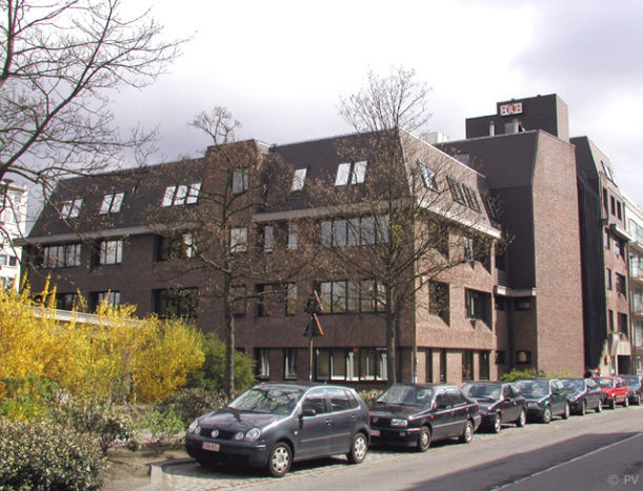 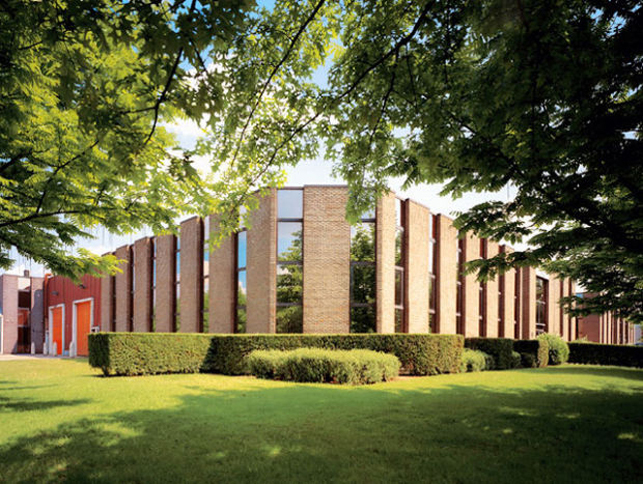 Offices & storage to lease in business centre in Gentbrugge. 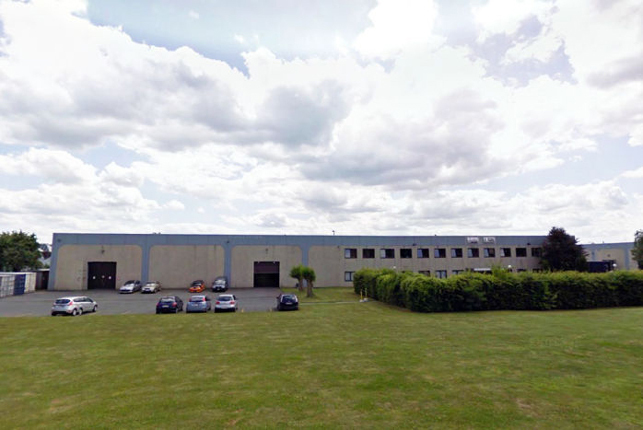 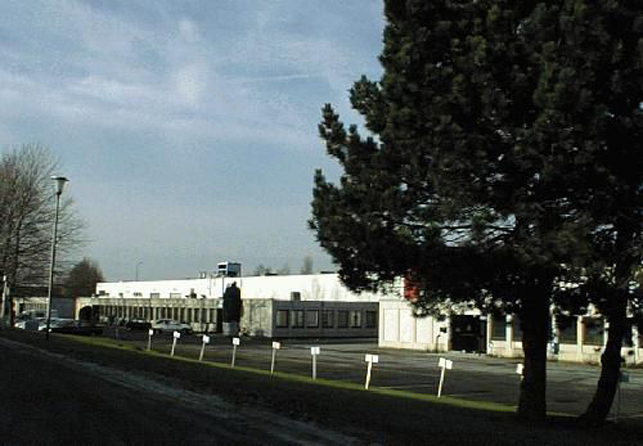 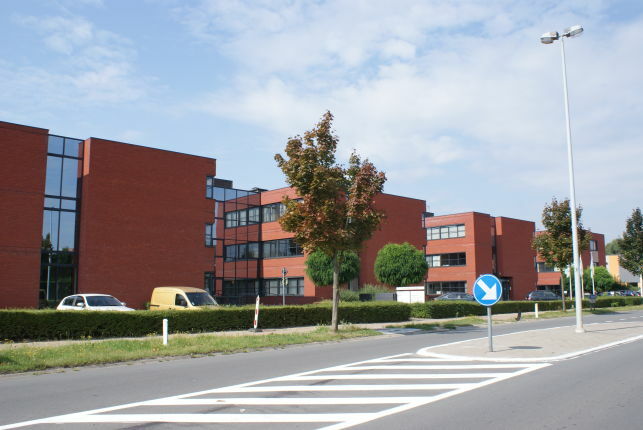 250 m² to 1250 m² offices to rent in Wavre near the southern Brussels ring motorway. 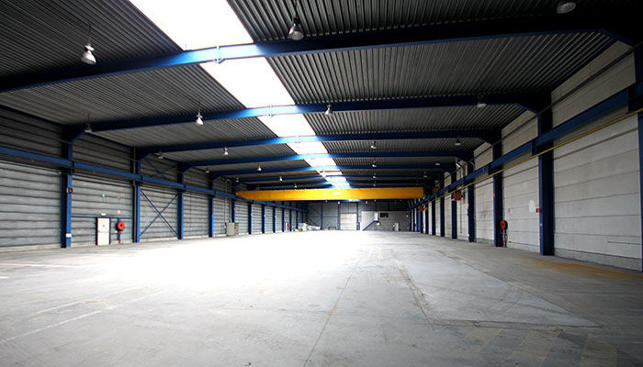 Detached semi-industrial warehouse to lease with girder crane, located near Mechelen-North & E19 Antwerp-Brussels. 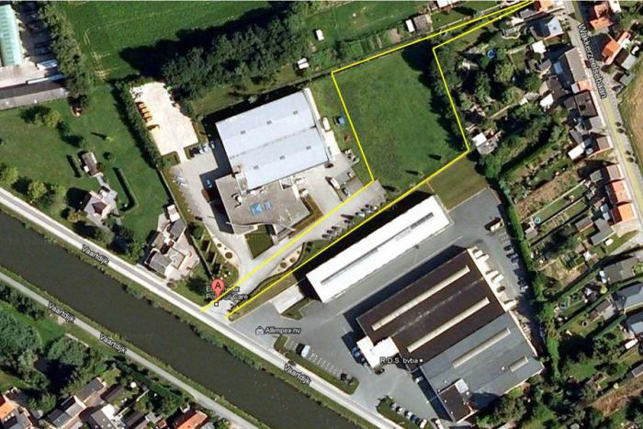 Semi-industrial warehouses, showroom & industrial land for sale in business park near the Liège airport, E313 highway, Maastricht & Aachen. 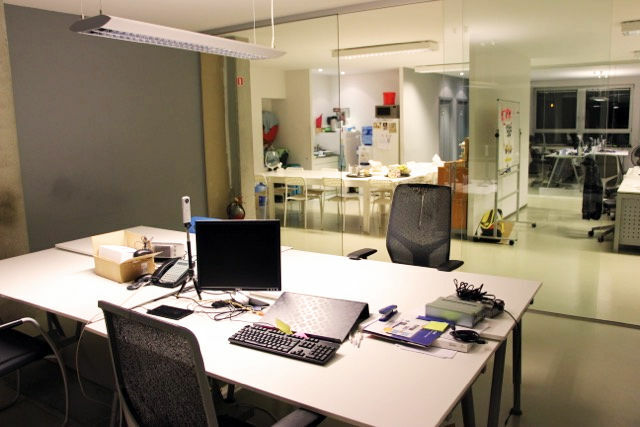 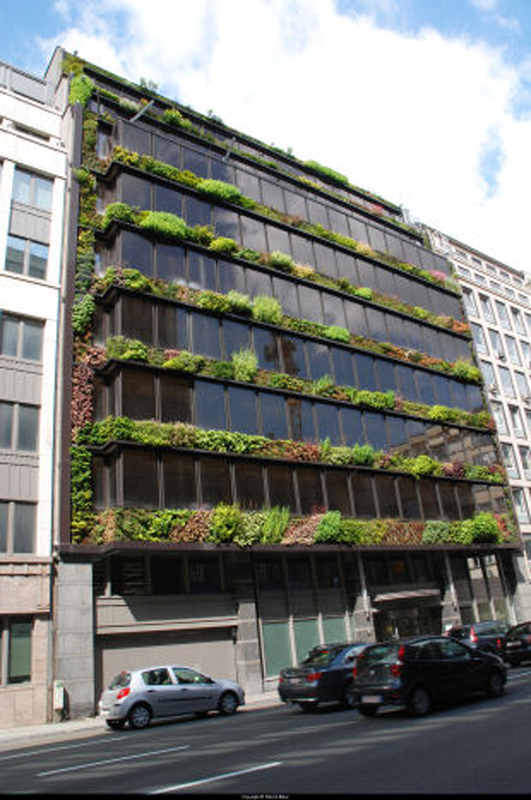 Office space for rent in the Leopold district in Brussels. 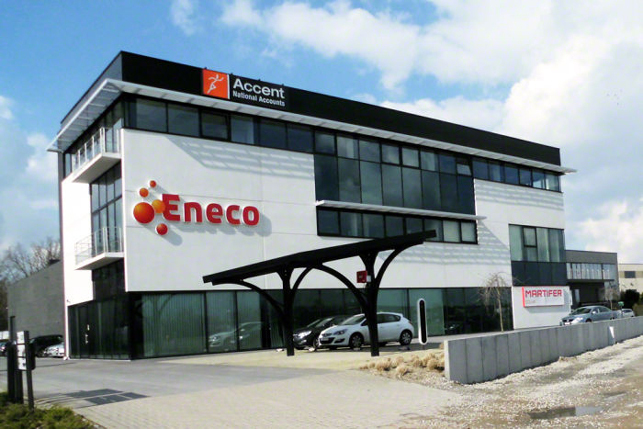 Offices to lease in Boom near A12 Brussels-Antwerpen with air-conditioning. 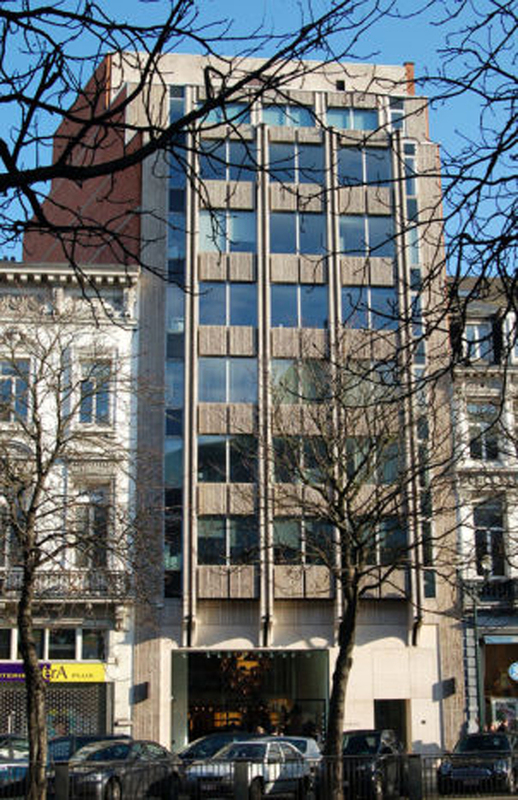 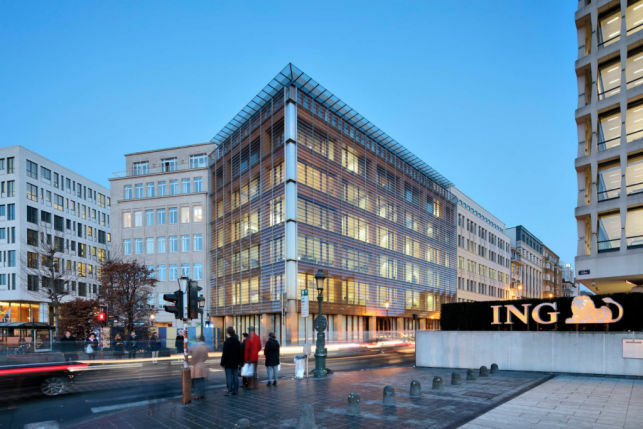 Prime office space for rent on the famous Avenue Louise in Brussels. 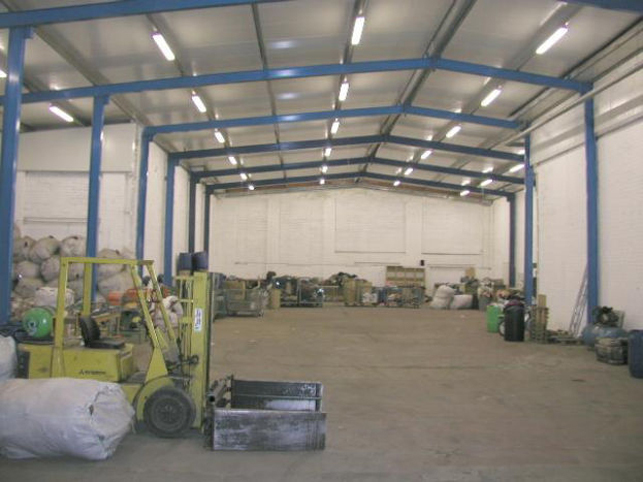 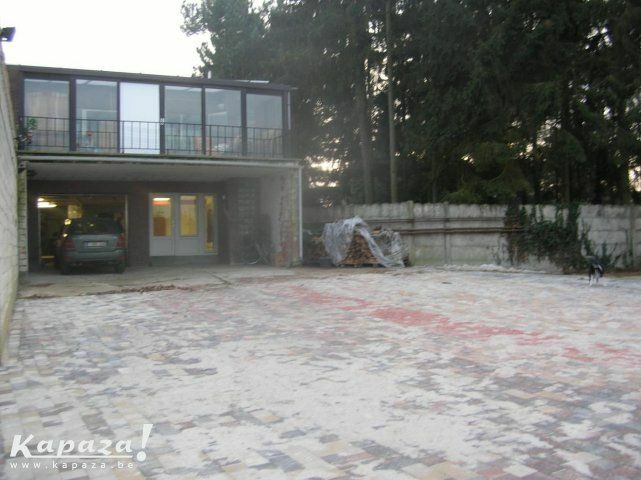 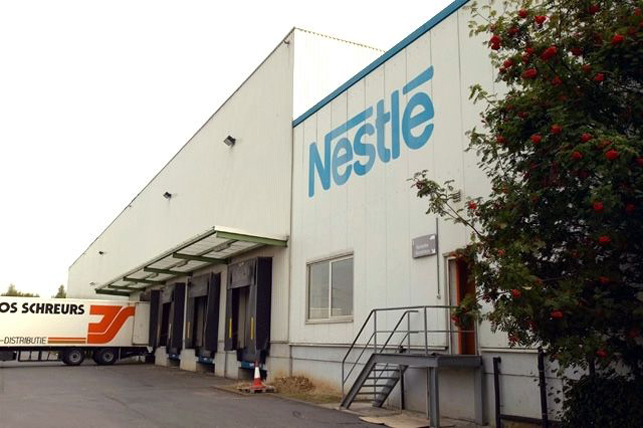 Semi-industrial building to lease & for sale with production warehouse, laboratories & offices. 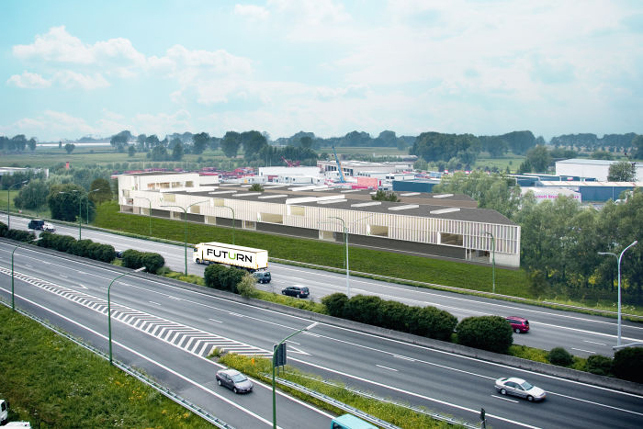 Polyvalent warehouse units for sale in Mechelen-North visible from the E19 Antwerp-Brussels motorway. 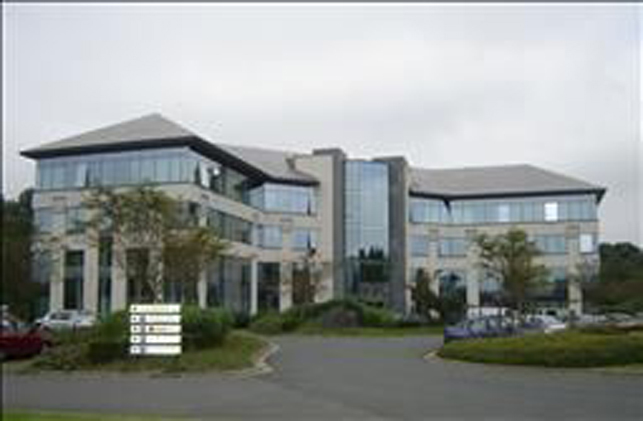 Prime offices to lease in the Eurostadium Innovation Centre alongside the Brussels ring motorway. 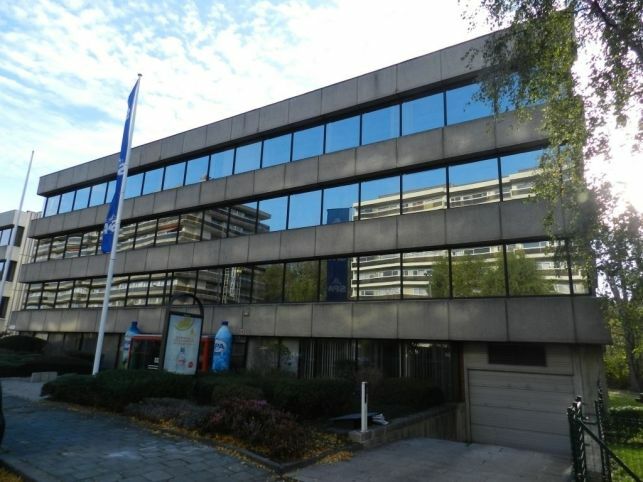 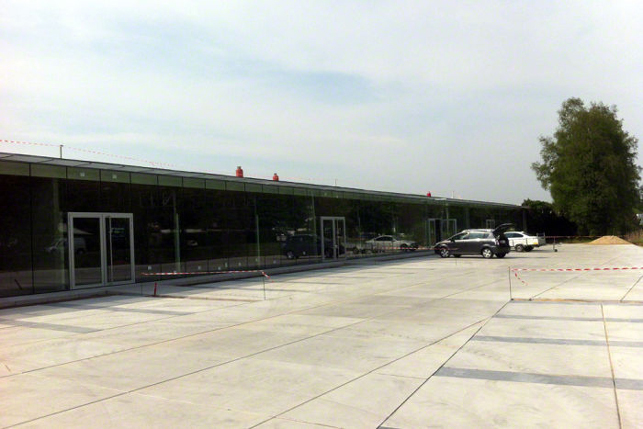 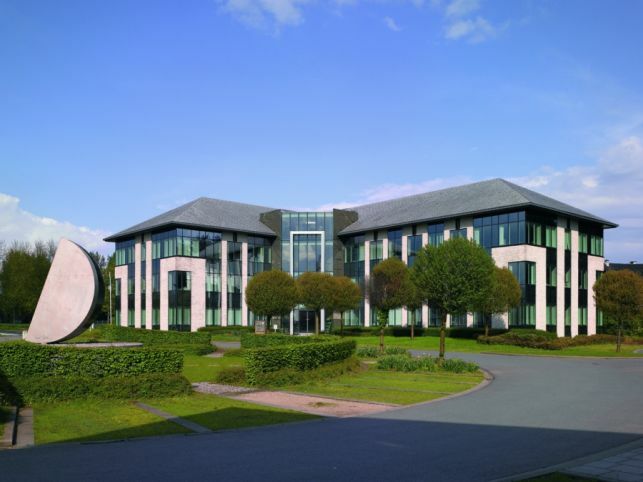 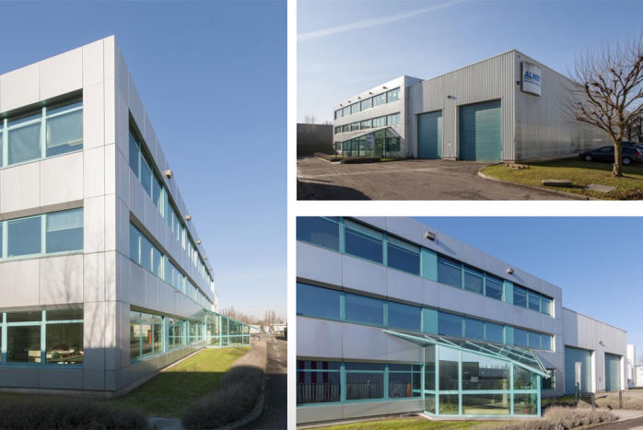 Offices to lease near the Brussels airport in Zaventem alongside the Brussels ring motorway. 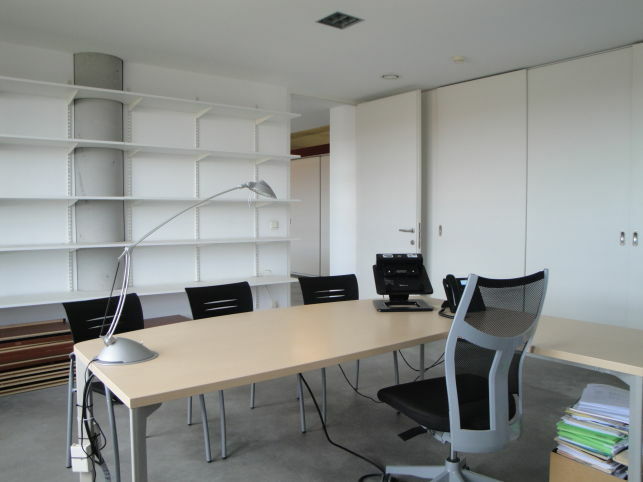 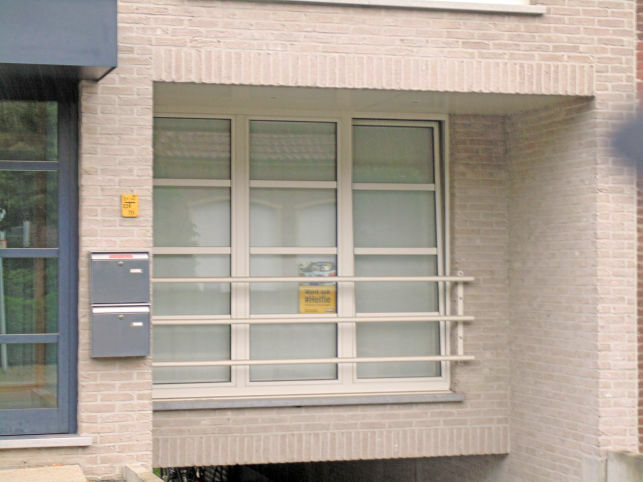 Fully-fitted office space to lease near business park The Loop in Gent (near Ikea). 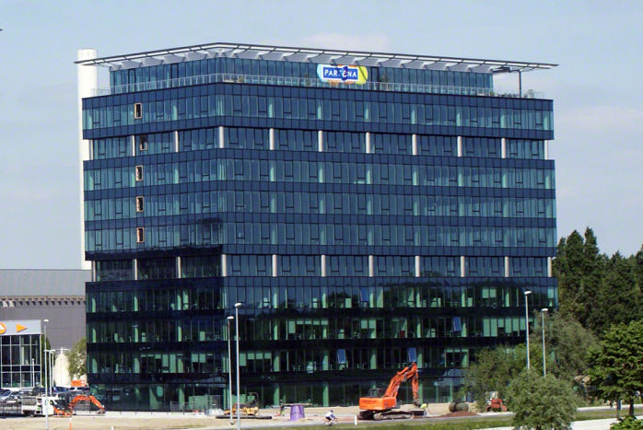 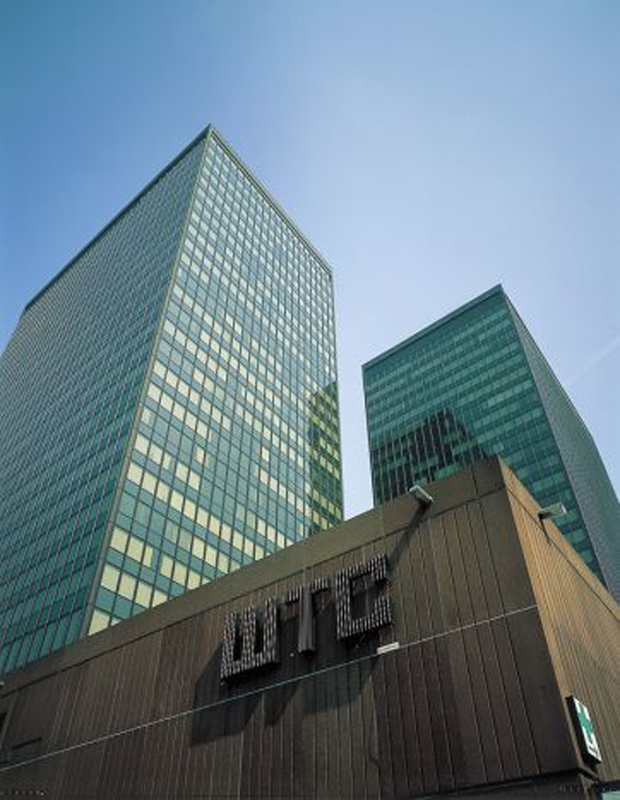 982 m² offices to lease in the Blue Towers, the brandnew office towers at the Ghelamco Arena in Ghent. 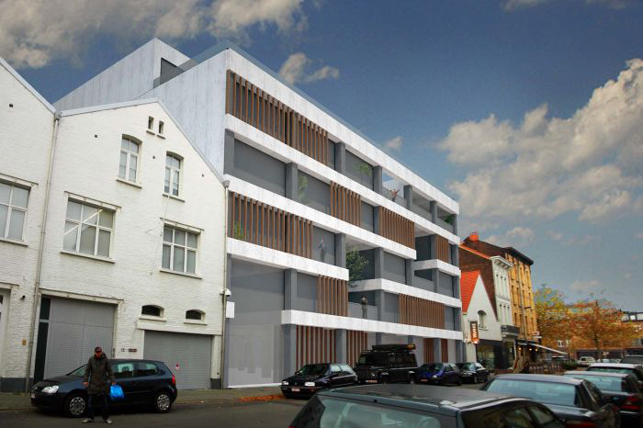 250 m² up-to 2700 m² new office space for sale & to lease in Mechelen-north alongside the E19 motorway Antwerp-Brussels. 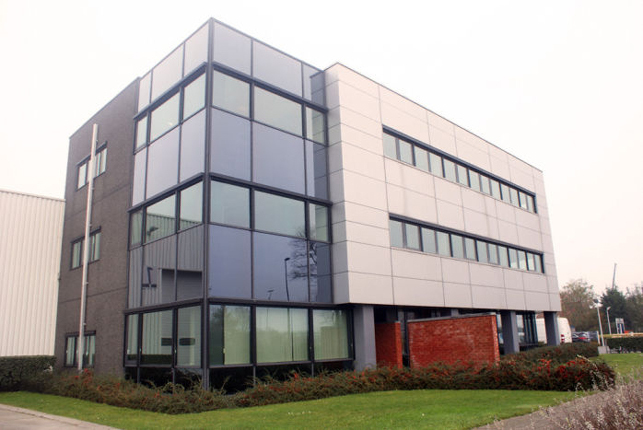 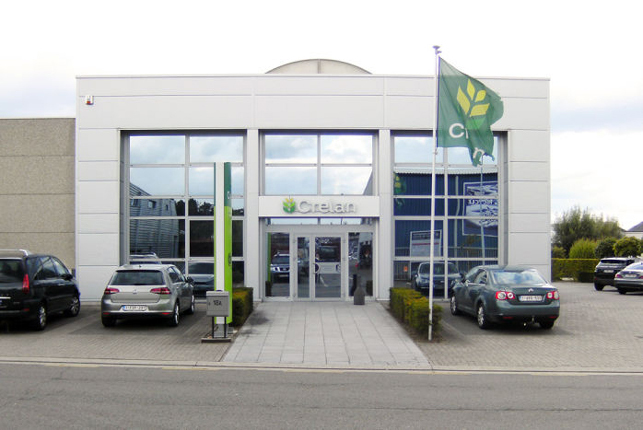 New offices to lease in Londerzeel, in the Brussels periphery and close to the Brussels ring motorway. 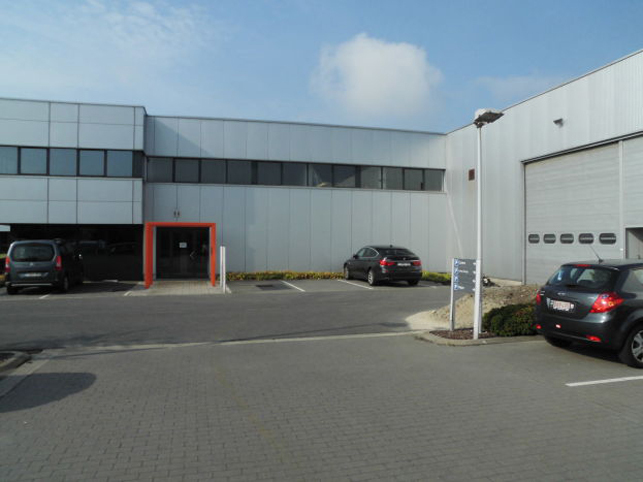 Industrial property with warehouses & offices for sale near the Brussels international airport in Zaventem. 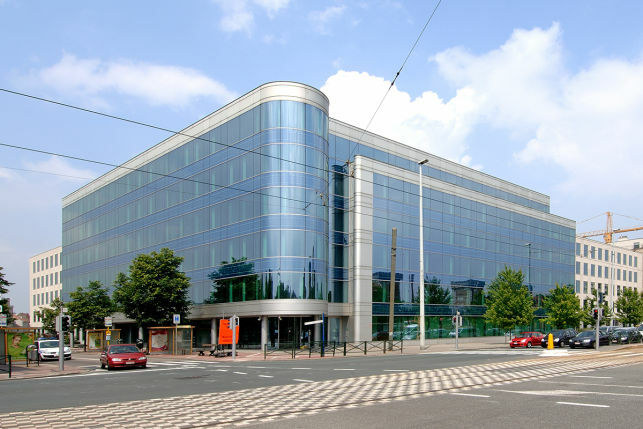 Brandnew office building in the heart of the European business district offering prime office space for rent. 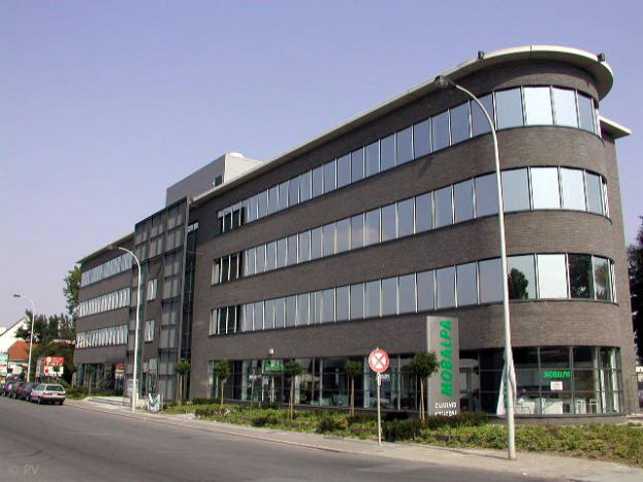 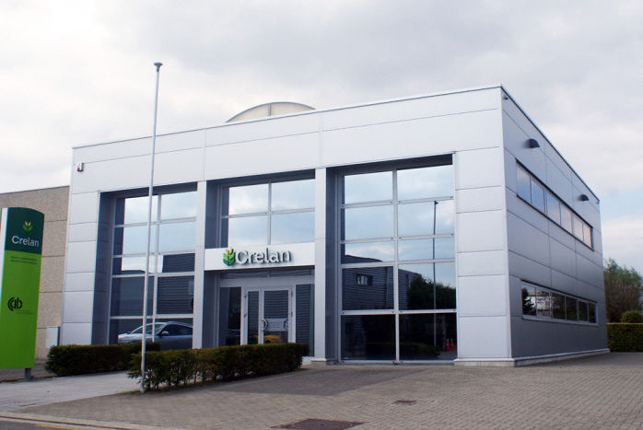 Prime offices to let in Aalst alongside the E40 motorway Brussels-Gent. 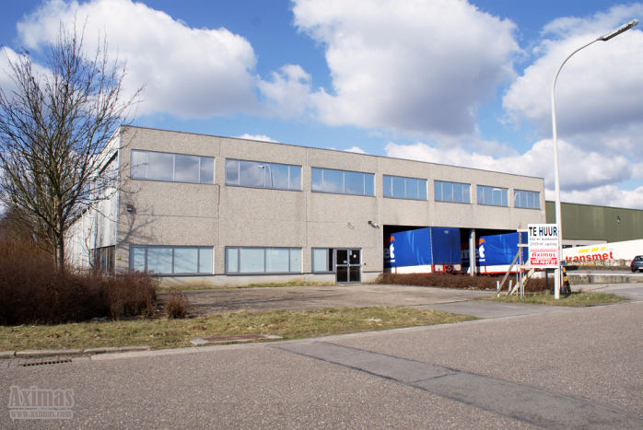 14550 m² semi-industrial building for logistical purposes in the proximity of the Brussels international airport in Zaventem. 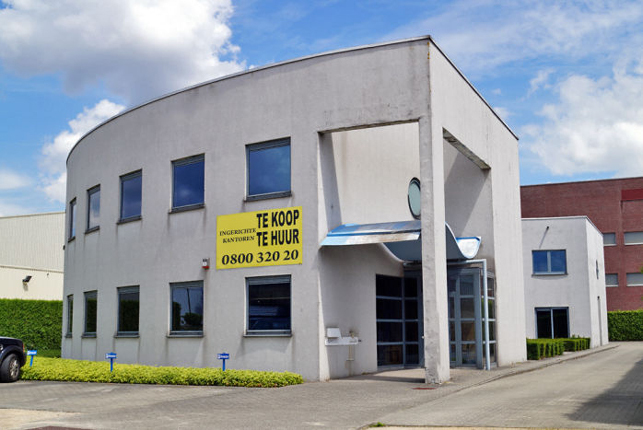 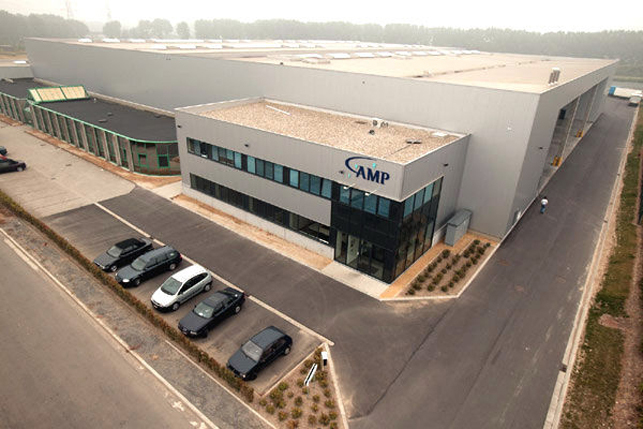 97 m² up-to 408 m² fully-fitted offices to let in Kampenhut, located between Brussels, Leuven & Mechelen. 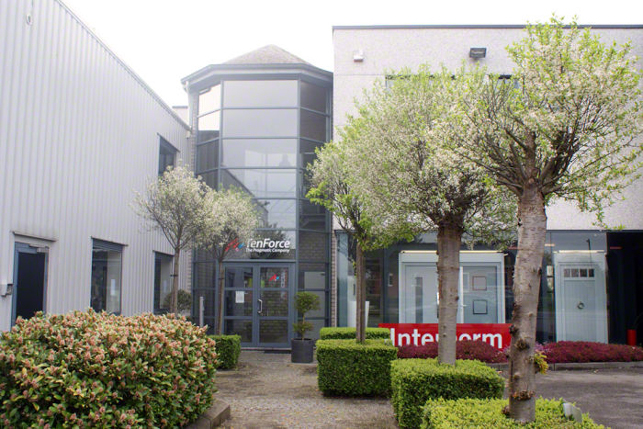 Offices to let in Clintonpark 'Keppekouter' is located to the southwest side of the city of Aalst at Ninovesteenweg in Erembodegem. 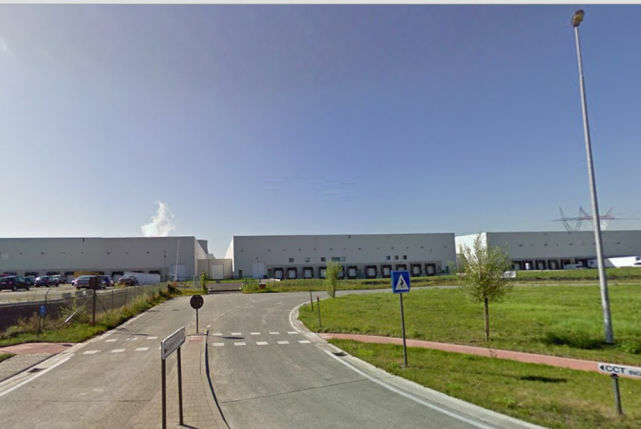 Ideally logistical distribution center & warehouse to lease in the Brussels periphery near Cargovil at the airport. 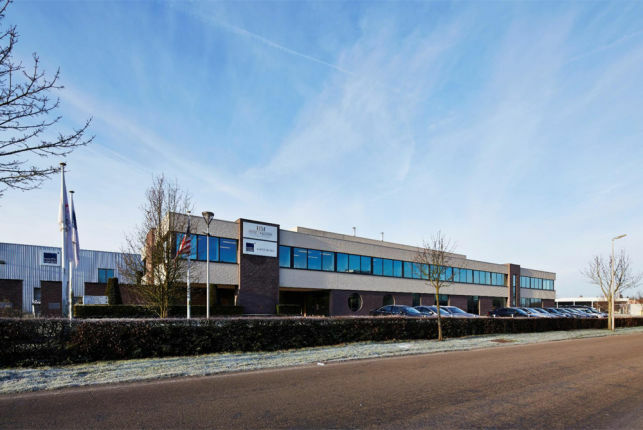 Semi-industrial building with warehouse & offices to let near the E40 motorway & the Brussels international airport in Zaventem. 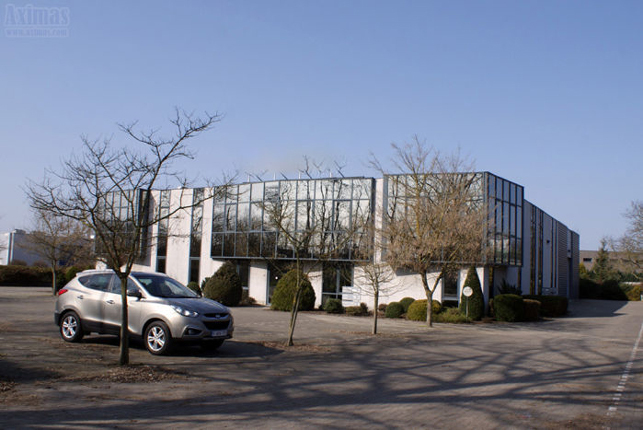 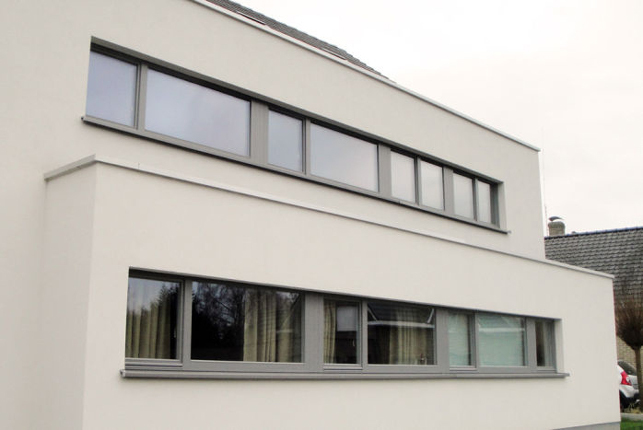 Offices to lease in a modern office building located at the exit of the E40. 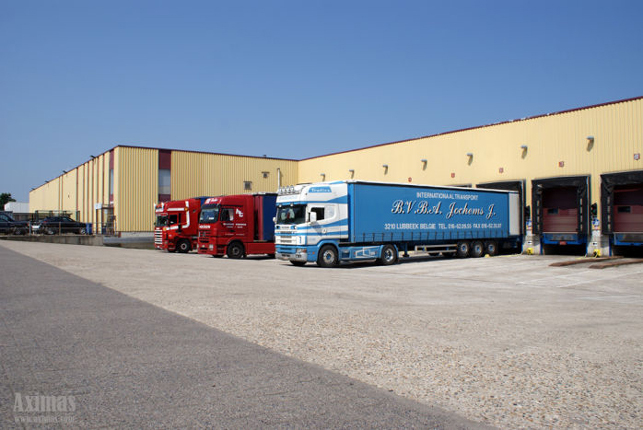 Industrial properties for sale with warehouses, offices & showrooms alongside the E17 motorway in Beveren near the Port of Antwerp. 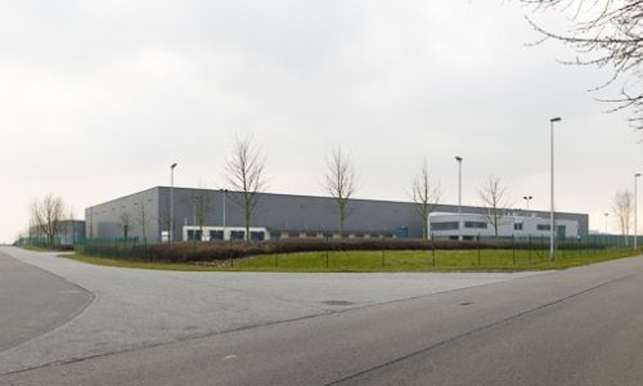 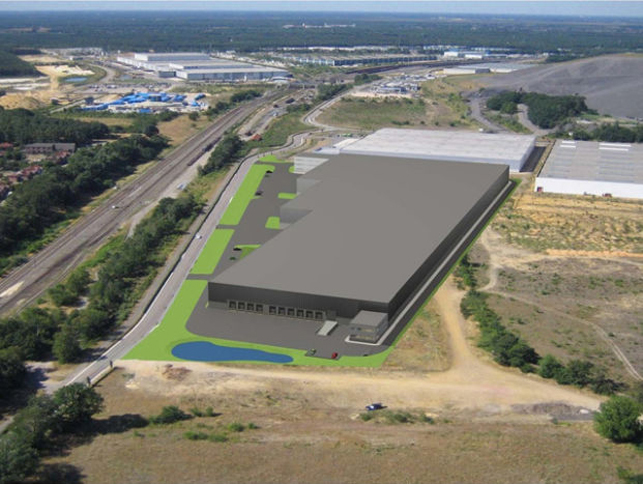 Logistical distribution center & warehouse to lease in Asse, in the Brussels periphery near the E40 Brussels-Ghent-Ostend. 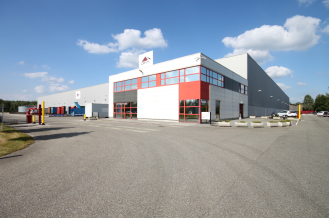 Production warehouses for sale in Hasselt near the E314 motorway to Antwerpen, Leuven, Maastricht & Aachen. 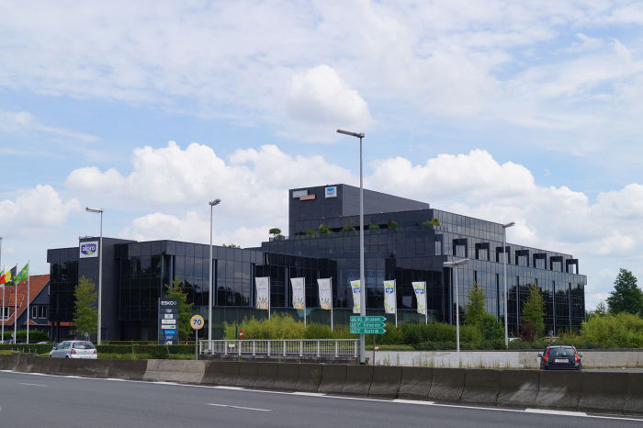 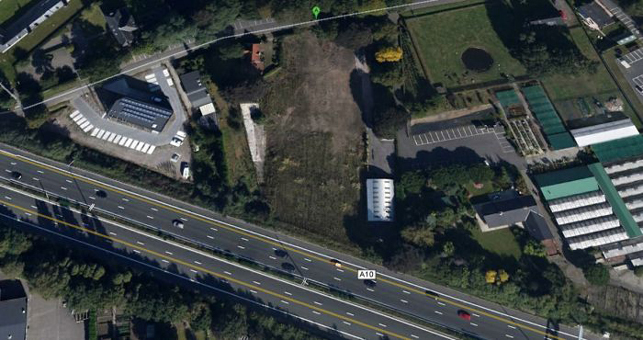 Office space for sale alongside the Brussels ring motorway near the Brussels airport. 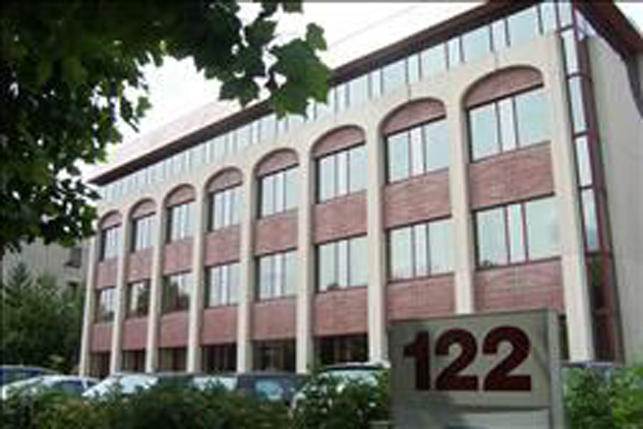 Office building located in the city centre (with spacious parking) and yet only a few minutes driving distance from the E314 motorway. 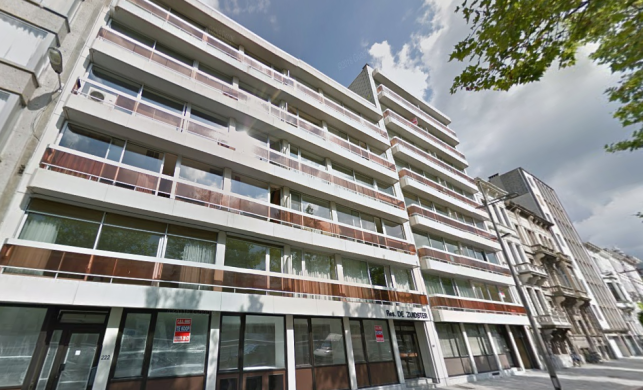 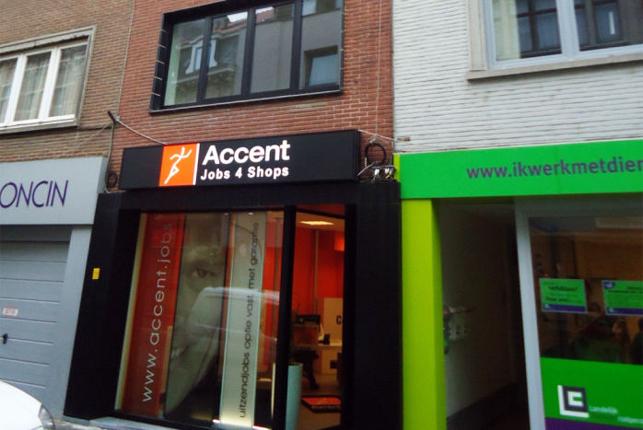 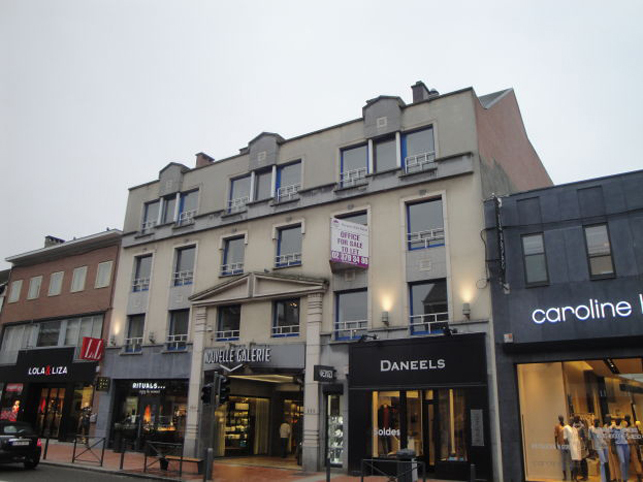 91m² fully renovated office & retail for sale near the Antwerp south railway station. 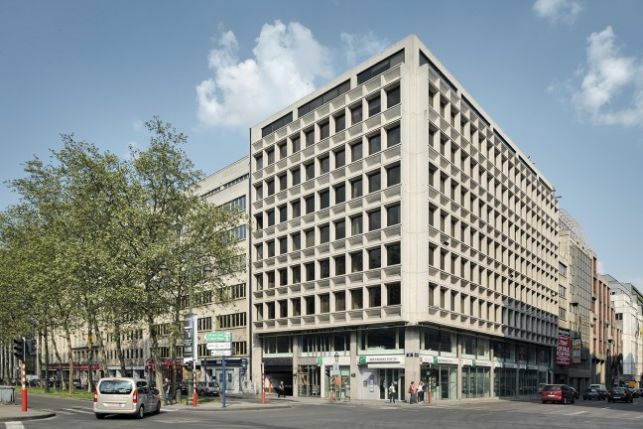 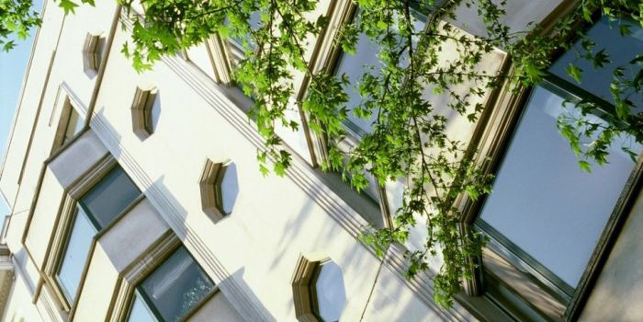 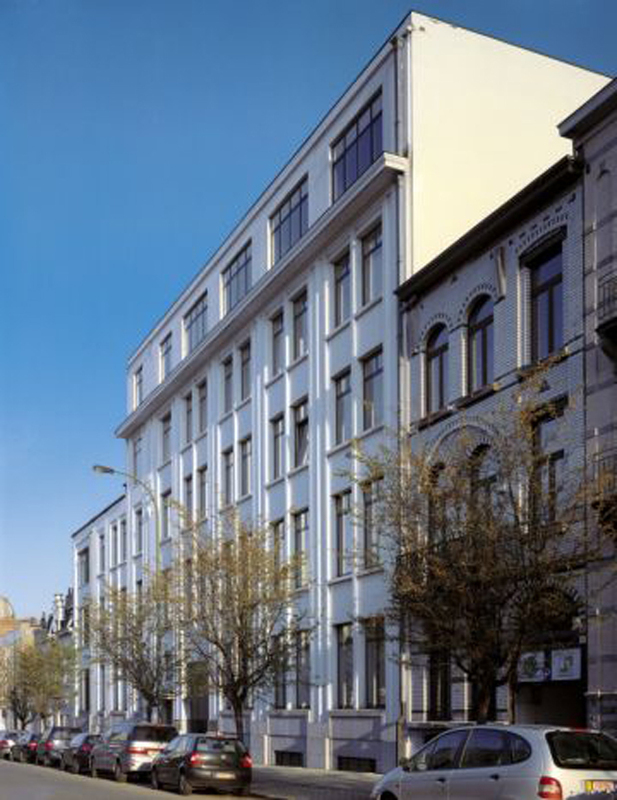 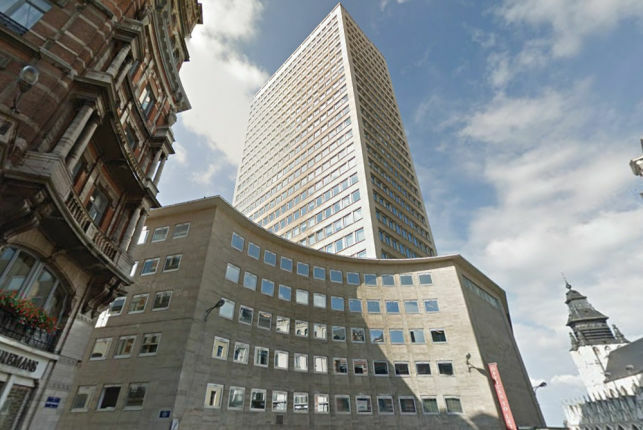 315 m² to 630 m² offices to let in the Leopold (European) district. 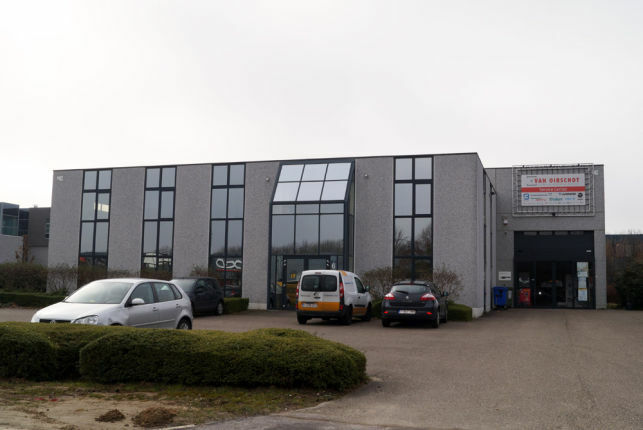 Semi-industrial business park with warehouses, showroom, laboratories & offices for sale close to e314 & e313 motorway near hasselt & lummen.